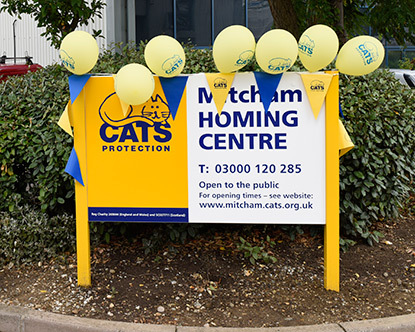 On Saturday 25 July our Mitcham Homing Centre opened its doors to the public. London is home to an estimated 1.5million cats and the Mitcham Homing Centre is our first step in targeting urban areas identified as being of high need. The new centre is the first of its kind and has a transportable model which allows the internal structure to be moved to a new site if demand in the Mitcham area drops in the future. 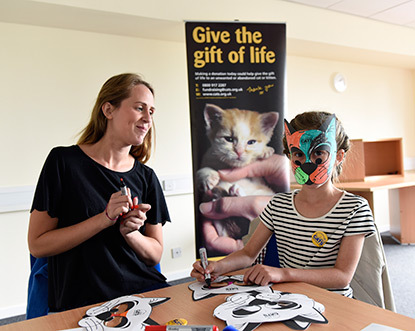 Cat loving visitors were taken on tours of the new pop-up centre and children had the chance to make cat masks, toys and get their faces painted at the event. The centre was opened by Mayor of Merton, Cllr David Chung and attended by staff and volunteers from the charity. 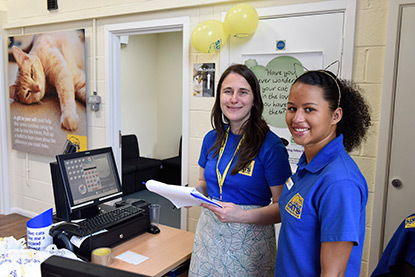 Eleven-week-old kitten Josephine, pictured below with Deputy Manager Rosie Wheeler is just one of the cats being looked after at Mitcham Homing Centre until she finds a new home. 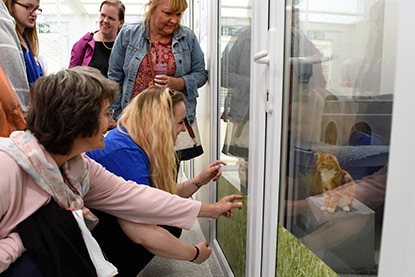 The centre aims to find homes for up to 50 cats each month. 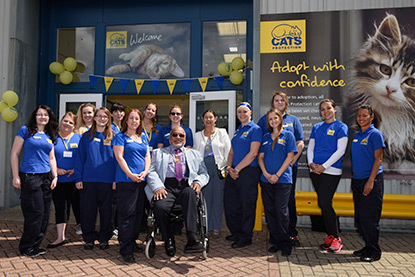 To find out more about Cats Protection’s new Mitcham Homing Centre or to enquire about adopting a cat or volunteering, please visit mitcham.cats.org.uk or phone 03000 120 285.